Bujumbura (Burundi) (AFP) - Authorities in protest-hit Burundi on Wednesday cut mobile access to several social networks and messaging applications, a telecoms official said. 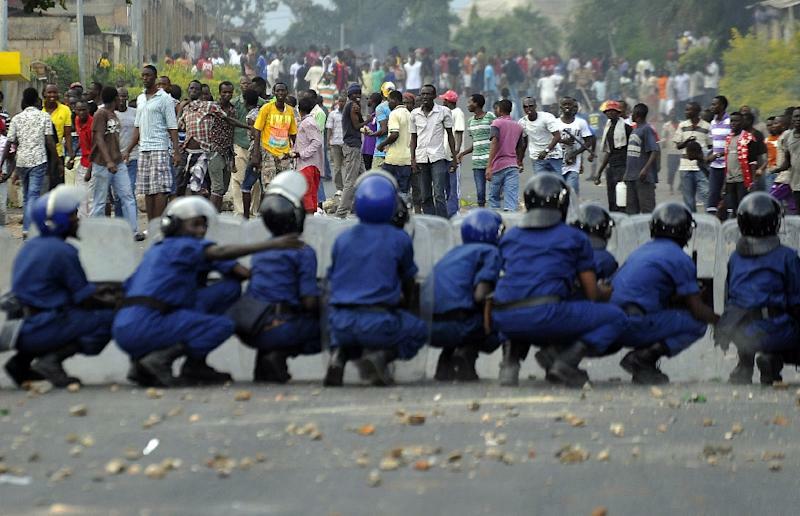 Networks including Twitter, Facebook and Whatsapp -- which have been used to coordinate protests -- were no longer accessible via mobile telephone in the capital Bujumbura, although an official explanation for the service cut has not been given. A telecoms source confirmed that operators had been ordered in writing by Burundi's telecommunications regulator, ARCT, to block mobile access to certain sites. "The ARCT told us in writing yesterday to suspend several social networks, notably Whatsapp, Twitter, Facebook and Tango, but not all Internet access," the source said. At least five people have died since unrest broke out at the weekend, when the ruling CNDD-FDD party designated President Pierre Nkurunziza its candidate for the presidential election to be held in the central African nation on June 26. Opposition figures and rights groups say Nkurunziza's attempt stand for a third consecutive term goes against the constitution as well as the peace deal that ended a civil war in 2006.